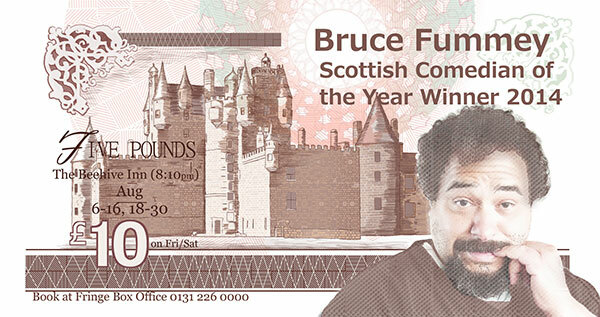 Bruce has performed at the Edinburgh Fringe pretty much constantly for the last10 years. This has included 5 star shows, sell out shows, free shows and ticketed shows. It has included shows about physics, Scottish history and culture, growing up, and the end of the world. In August 2017 Bruce again brings two shows to Edinburgh Fringe. Bruce’s comic observations probe deep into medieval Scotland. Shakespeare shamefully misrepresented a man who, in his time, was a popular Scottish king. His death, at the hands of Malcolm, led to Anglicisation of Scotland… and eventually "the English play". This show is free entry with a donation at the end. 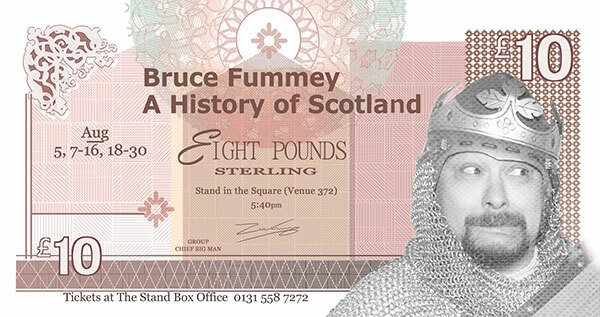 Bruce has become known for his shows on the subject of Scottish history and culture. 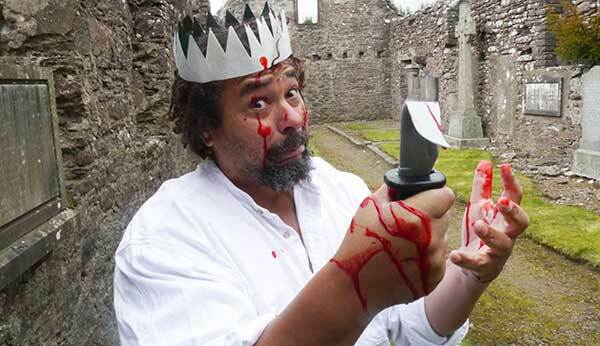 His 2013 show Gaelic in the Afternoon and 2014 show Aaaah’m Votin’ YES were nominated for Scottish Comedy Awards. His 2016 show A History of Scotland was the biggest selling show in Stand in the Square. Alba: Scotland the Origins is a new show looking at how Scotland came to be. We start with the Paleolithic and finish with the Treaty of Perth with heroes villains and jokes along the way. The show will again be in the prime location of The Stand in the Square in St Andrew’s Square Edinburgh each day at 5.40pm. A History of Scotland brings material and information from previous shows such as About Robert the Bruce, About the Jacobites, About Tam O’Shanter, up to date in one overarching, laugh out loud history of our nation. The show will be in the prime location of The Stand in the Square in St Andrew’s Square Edinburgh each day at 5.40pm. 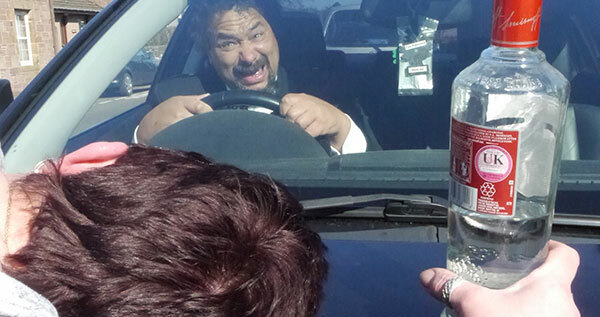 This show sold out at the Perth Fringe in Western Australia and audiences loved it. I think you will love it too. 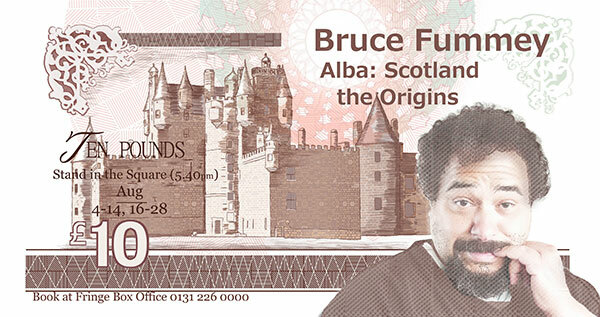 I’ll even be giving away my own special tenners. In September 2014 I was named Scottish comedian of the year. The end of my year’s reign brings the Edinburgh Fringe and I will be doing a show at 8.10pm in The Beehive. The show will be like a well prepared bride. It will include stories and jokes that are old, new, borrowed and blue. It’ll be a right good laugh for those who are looking for just stand up rather than the additional educational content of the history based show. Still comes with a tenner though.